Hop on over to the stage and get your picture taken with the Easter Bunny and decorate an Easter cookie too*. 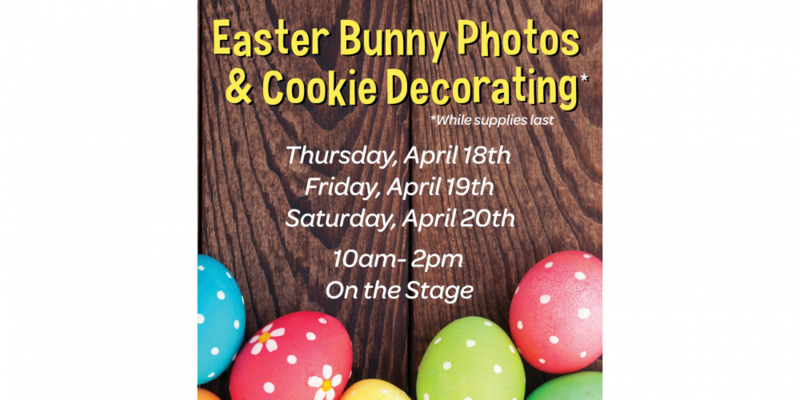 We’ll be accepting cash or food donations for the Calgary Food Bank to snap a bunny photo and to ensure no one goes hungry this Easter. Remember! the Market is open all Easter weekend, Thursday – Sunday from 9 am – 5 pm. While we strive for accuracy of this event’s information, we recommend you follow up with the event’s website to confirm information, dates, location and time in case there are changes.